We have a total obsession with Mason Jars. They can function for just about anything you can think of. From creating decorative pieces to organizing or for baking, the possibilities seem endless. 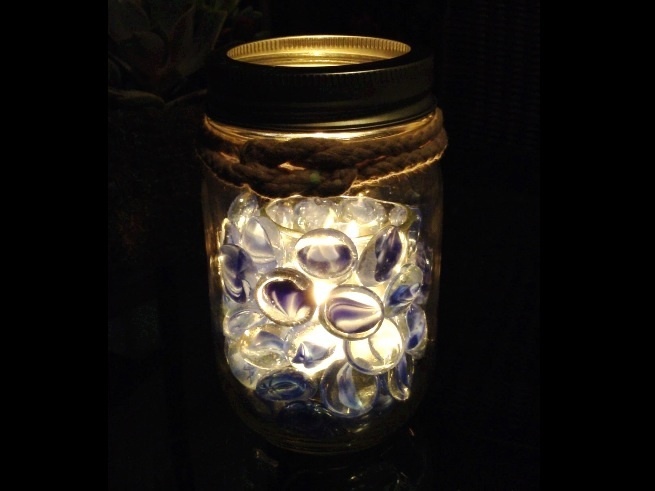 Checkout the votive holder we created using the versatile Mason jar. It adds a soft and inviting glow to any room outdoor space. Place the votive in the mason jar. 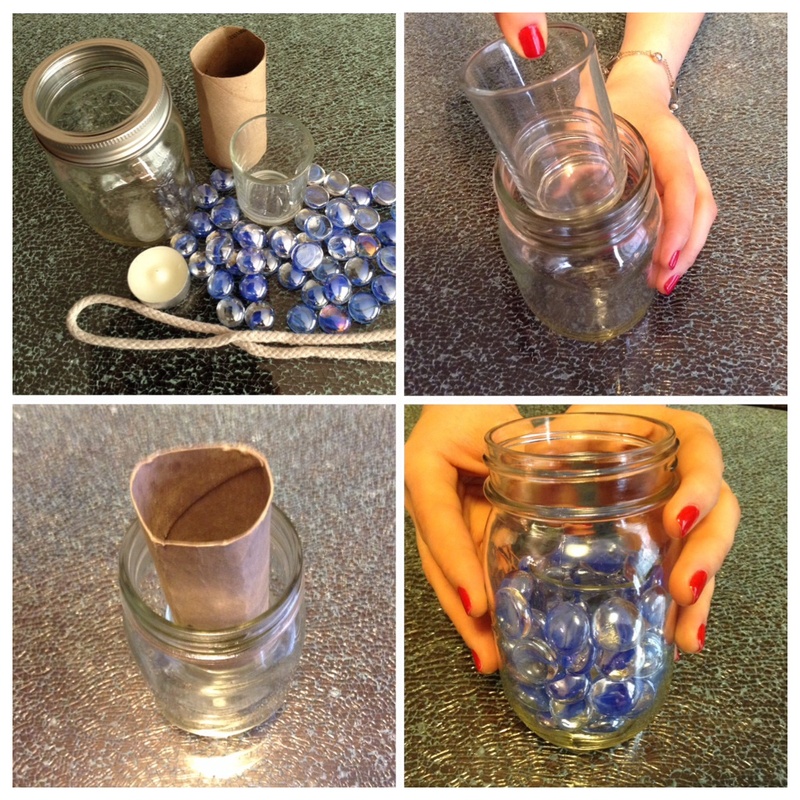 Insert toilet paper roll into the votive to prevent the glass pebbles from falling into the votive. Fill the surrounding area of the votive with pebbles. Remove the toilet paper roll and insert the tealight. Screw on the metal ring. 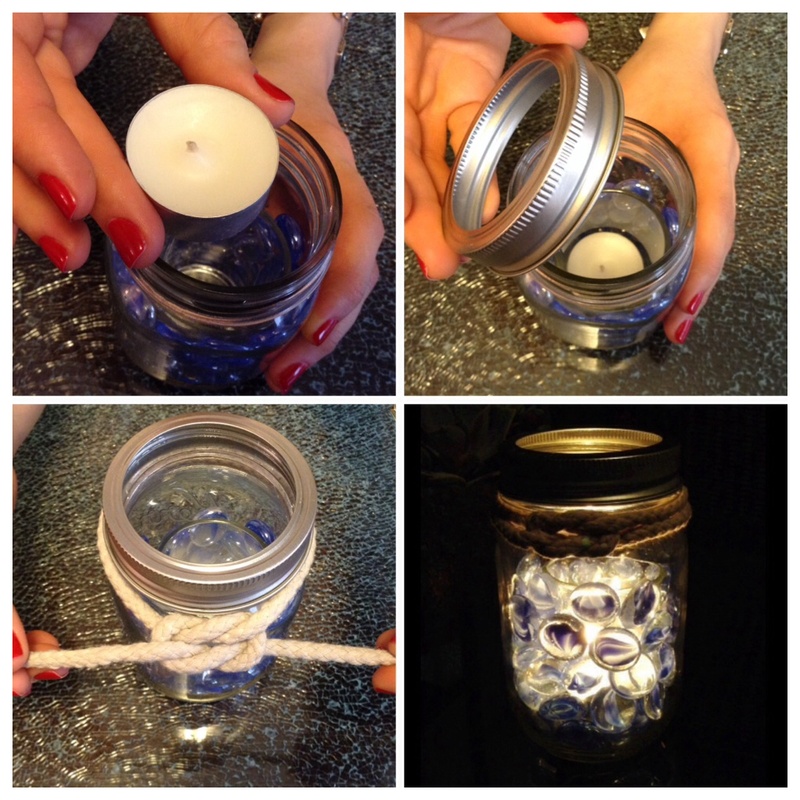 Tie a rope around the rim of the jar and light up the candle.